The sport of baseball has been around for 150 years. At no time in the history of the game has a single player, not even big league players like Babe Ruth, Bryce Harper, or even Hank Aaron, ever hit a home run cycle – that mythical, seemingly unattainable feat. That is, until now. 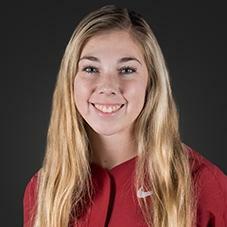 Meet Latter-day Saint teenage slugger Danielle Gibson, a 19-year-old psychology major, and a home run-hitting infielder for the University of Arkansas softball team. The Church News.com proclaims that the next time she “hits for the home run cycle, it will be a repeat performance.” For those not in the know, a home run cycle is hitting a solo, a 2-run, and a 3-run home run, and a grand slam, all in the same game. 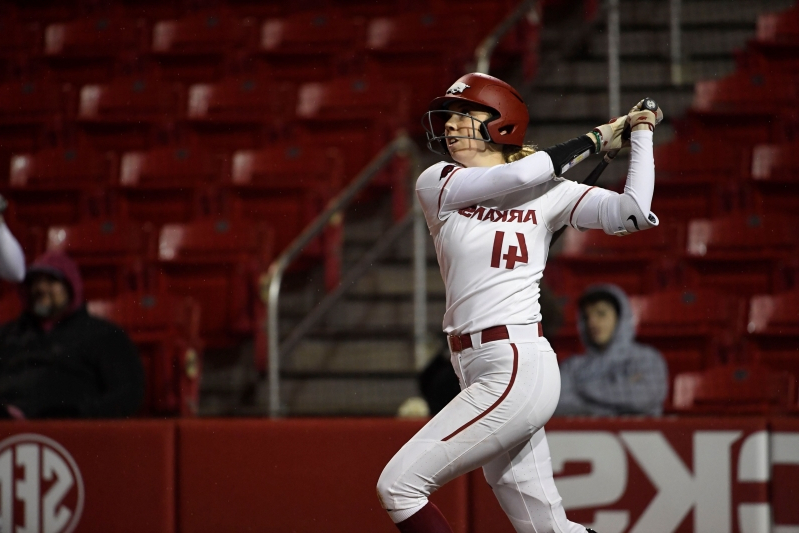 On 23 February 2019, when Danielle stepped to the plate for her first-inning at-bat against Southern Illinois University-Edwardsville, her primary goal was to help the Razorbacks erase an early 2-0 deficit. She wasn’t swinging for the home run cycle. In fact, she had no clue what that was. It wasn’t until after she had hit a 2-run home run in the first inning, a 3-run home run in the second inning, a grand slam in the third inning, and was about to step to the plate for her last at-bat in the fourth inning, that her fellow teammate, Hannah McEwen, the leadoff hitter, educated her. When Danielle stepped to the plate, she had a teammate on third base and she needed to hit a solo home run to complete the home run cycle. It did not seem possible. Then it happened almost as if by some twist of magic or perhaps fate. The pitcher threw a wild pitch, allowing the baserunner on third to come home, emptying the bases. Danielle told the Church News, “The stars were aligning… I told myself to go for it.” She became the second NCAA Division 1 softball player to hit for the home run cycle — and the first to do it in four innings. And for the record, her team scored a 15-3 win. The news about the oh-so-rare home run cycle spread across the sports world like wildfire. Danielle’s historic game has received continuous coverage on major news outlets, including the Washington Post, ESPN, and SiriusXM radio. After earning all-conference honors last season at Arizona State, she made the tough decision to transfer. Unsure whether she would continue to pursue her college career, she relied on the Lord and the guiding words from her patriarchal blessing to help make her decision. She says that deciding to play for Arkansas was an answer to many prayers. Speaking of her college softball career, Danielle says, “For some reason, Heavenly Father guided me here.” She is the only Latter-day Saint on the Razorback squad. But her coaches and teammates have welcomed her faith and religious convictions. The Church News reports that Danielle “posts Book of Mormon passages in her locker to keep her grounded during the ups-and-downs of the college softball season and feels comfortable talking to her team about her Latter-day Saint beliefs.” She’s also grateful for the Latter-day Saints friends and connections she has made with the small but strong young single adult community in Fayetteville. When her college playing days end, she has aspirations of becoming a college coach.